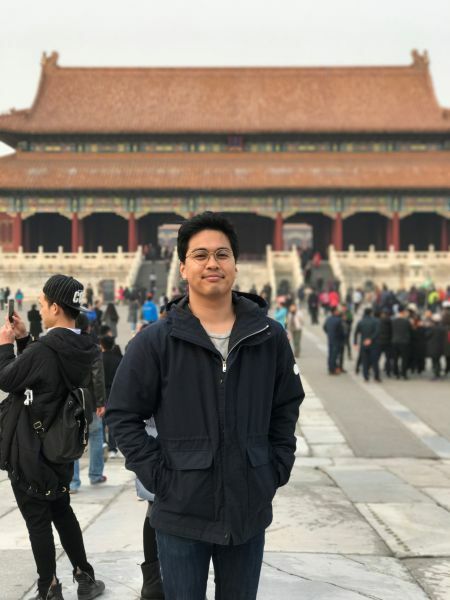 MLS JD student Dominic Fajardo was one of 22 students who took part in last year’s Economic and Business Law in Asia (EBLA) subject, a two-week intensive course taught between Hong Kong and Shanghai. From eating siu mai on the streets of Hong Kong to learning about the legal challenges in developing an oil refinery, Dominic gained a better understanding of the economic opportunities across the region. The subject really kicked off when we landed in Shanghai. We spent seven days in Shanghai and the last three days in Hong Kong. Classes were held on campus at Shanghai Jiao Tong University and at the University of Hong Kong. In the morning, a guest lecturer would discuss a specific aspect of Chinese law. For instance, we had a lecture covering the basics of foreign direct investment in China on our first day. Afternoon sessions were organised by Hop Dang, a partner at Allens in Hanoi. The focus was on identifying and managing risks when investing in developing countries. We were asked to identify and solve the issues surrounding the development of an oil refinery in a developing country as part of a practice case. The class ultimately had to provide legal advice in a mock boardroom setting to mock clients. We also visited a Shanghai district court as well as the offices of commercial law firms like Dorsey & Whitney in Shanghai and Skadden Arps in Hong Kong, thanks to Associate Professor Andrew Godwin’s connections from his time in Shanghai working as a partner at Linklaters. My most memorable and humbling experience in Shanghai was when I stood at the base of the city’s ‘Big Three’. This trio is comprised of some of the world’s most magnificent buildings; the Jin Mao Tower, the Shanghai International Finance Centre, and the biggest of them all – the Shanghai Tower. These landmarks will continue to serve as a constant reminder of China’s tremendous growth over the last two decades and its permanent place amongst the world’s biggest players on the global stage. As for Hong Kong, my experience dining at Lin Heung Tea House was definitely the most memorable. This venerable institution is a vibrant yet controlled chaos that buzzes with activity at all times during the day. Lin Heung is one of the few places left in Hong Kong where you can hear the clangs of old ladies pushing around carts full of yum cha. If you want your fix of siu mai, you better be ready to beat everyone else to the trollies. I enjoyed the frenetic dining experience at Lin Heung. I’d imagine that eating there is an accurate reflection of Hong Kong’s iconic blisteringly fast lifestyle. Before undertaking the subject, I could not grasp exactly how Hong Kong’s common law system could coexist alongside mainland China’s civil law framework. Having completed EBLA, I have a better understanding of the notion of ‘one country, two systems’ as it applies to modern China. We thoroughly studied core provisions of the Hong Kong Basic Law, such as Article 158 which ingeniously links the region’s common law tradition with the mainland’s civil law system. It strikes a balance that leaves room for the operation of the common law in Hong Kong without undermining the authority of the Central People’s Government on the mainland. My time studying in China led me to appreciate the ingenuity that the Chinese law makers have shown in tackling this unique legal arrangement and successfully bridging two radically different systems. The world grows smaller every year, and though Australia may seem far removed from the rest of the world, we have become increasingly economically integrated with Asian superpowers like China, South Korea, Taiwan and Japan. We have reached a point where the vast majority of our top 10 trading partners are situated in Asia. As Chinese capital markets mature and as Japanese interest rates stay negative, foreign direct investment from the East will continue to flow to countries like Australia. Given the extent of our integration, I think it really pays off for JD students to become more ‘Asia-literate’.